Never let you go. Is it a promise or a threat? 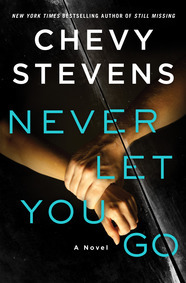 Chevy Stevens‘ fifth terrific and deeply personal thriller, NEVER LET YOU GO, is this week’s Maximum Shelf Awareness feature.